As a leading-edge managed services provider (MSP), we take our quality of work seriously. 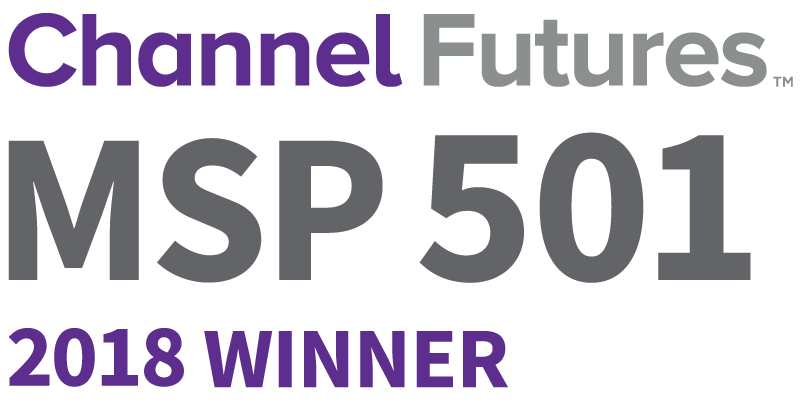 That's why we're proud to be recognized in the top 100 by Channel Future's annual MSP 501 ranking list — the largest worldwide ranking of its kind. Competing against hundreds of MSPs for a spot on the coveted list, we know our commitment to superior service, unique approach to IT solutions and dedication to innovation made us a strong candidate for inclusion. And we're always pleased to receive industry acknowledgement of our practices. 2018 marks the third year of iVenture achieving top status on the MSP 501 with consecutive wins in 2016 and 2017 as well. With offices in Tampa, Jacksonville and Orlando, Florida, it takes a group effort to make iVenture successful.This recognition reaffirms our drive to provide the highest quality service to our clients, and we're happy to continue bringing IT to you. In need of quality IT? Our awards could speak for themselves, but we'd rather speak to you! iVenture Solutions is an award-winning managed service provider delivering superior IT solutions to clients across Florida and beyond. Through rapid response time, reduction of chaos and the right people, our certified team of IT professionals will fulfill your technology needs. At iVenture, we give you more time to do what matters most.